Top 3 absolutely must know’s when hiring a contractor! Ask a friend if they know a good doctor or good contractor and likely just the thought of it will elicit strong reactions one way or the other. The fact of the matter is that hiring someone to provide a very important service is scary. These services affect our home, health, well being, wallet or all of the above. Horror stories abound but so do glowing recommendations. But, as we all know, one friend’s favorite restaurant may be one we don’t care for. One friend’s recommendation for an incredibly gentle dentist may put a hurtin’ on us. What I’m saying is that word-of-mouth recommendations are great most of the time. Let’s say 9/10 times your find your friend’s recommendation to be spot on and 1/10 times, it’s a complete miss. When we’re buying a small product or service, that’s OK. But, when we’re making a large purchase such as adding on to our homes, we just can’t take any chances. That 10% chance that a referral might be wrong makes the stakes way too high. I have great news. There are 3 key questions to ask your prospective contractor that truly will help you make the right decision. Exactly who in the company is deciding how the project will be built? How EXACTLY will it be built? Can you absolutely guarantee that it will be built and that it will be built as agreed? Here are the answers you’re looking for. Make sure the company is not only willing to but includes this information in your contract. Will the company owner make this determination? 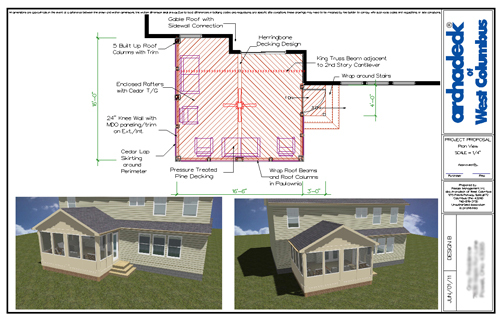 Will the contractor or subcontractor make this decision based on some hand-drawings and a list of features? Will the carpenter make this decision? The contractor you want will have a unified body that governs their process. At Archadeck, we have such a governing body that creates our Unified Structural System. This system is a completely documented, tested, and fool-proof system for designing and constructing every facet of the job. No stone should be left unturned. Our national office had engineers test our system to review the details of how things are built. How exactly will my project be built? 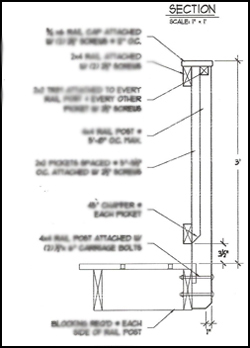 Does company have a standard for things like how big footers will be and what type of hardware will be used and specifying the proper size bolts to secure structure? Governing bodies in your local jurisdiction will dictate minimum code requirements and what do you think most contractors are going to build to? In our experience they will build to the minimum. They will use least material and least labor to build to minimum standards. Make sure your contractor has their own high quality standards. Almost always, those standards will exceed what is required by code. At Archadeck, we always build to exceed the standards set by code. Ask the builder if they have a written binding guarantee that your project will be built as agreed. At Archadeck, we provide two distinct warranties. One guarantees it will be built according to our standards. The other unique warranty guarantees completion. We guarantee in writing. Author archadeckofcolumbusPosted on January 25, 2012 Categories Archadeck of Columbus, Contractor quality, The Archadeck differenceTags Archadeck of Columbus, Columbus deck builder, Columbus outdoor contractor, Columbus patio contractor, Columbus porch builderLeave a comment on Top 3 absolutely must know’s when hiring a contractor! As years go, 2011 has been a really good year. 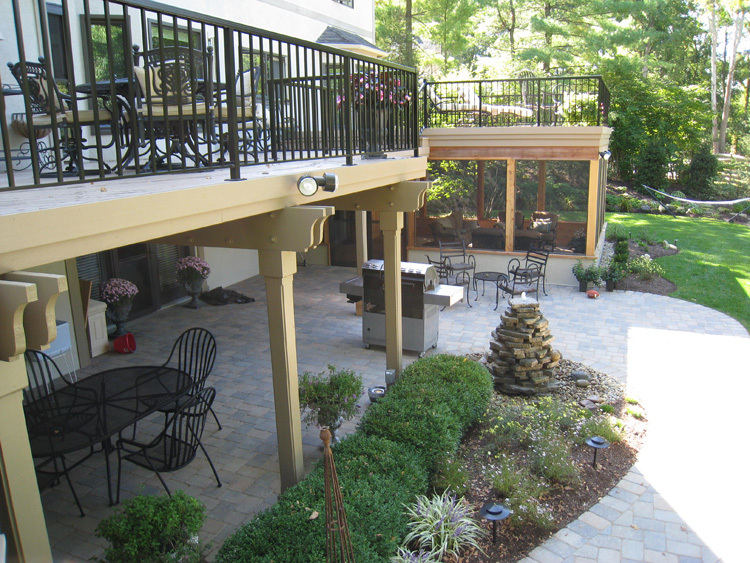 We built lots of decks, porches, patios, sunrooms, pergolas and other outdoor structures all around the Columbus area. Here are some of our favorite moments and highlights for 2011. 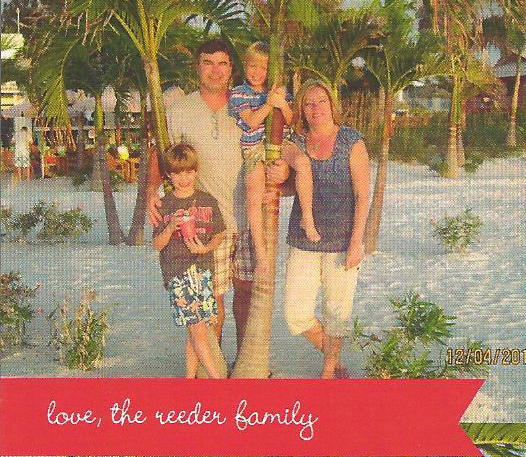 One of the biggest highlights certainly needs to be being a part of the Extreme Home Makeover helping the Rhodes family. 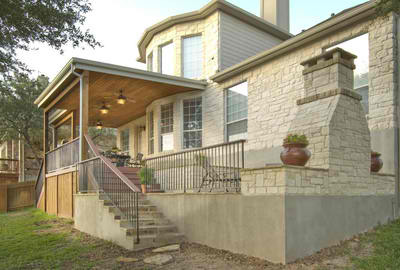 We worked for 18 straight hours and built a roof-top deck with pergola over the family’s garage. Read more about our experience here. Columbus-based TimberTech is our composite of choice and we have a great working relationship with TimberTech. Their products get better and better and their selection and family of collections continues to grow. 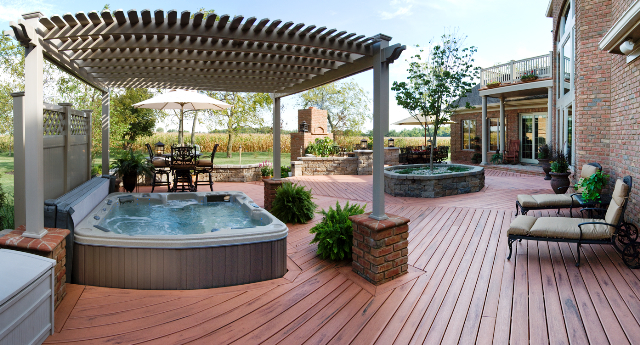 One of my favorite projects was this radius deck in Columbus‘ Dublin area. 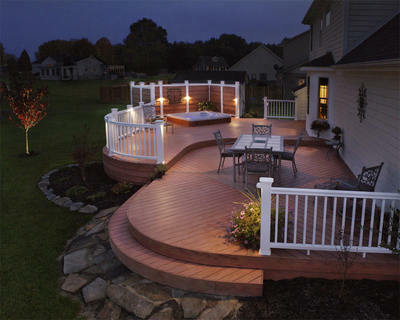 You might think that architectural details such as radius decking cannot be accomplished with a composite. Watch this YouTube video about bending composite wood to build a radius round edge to a deck. 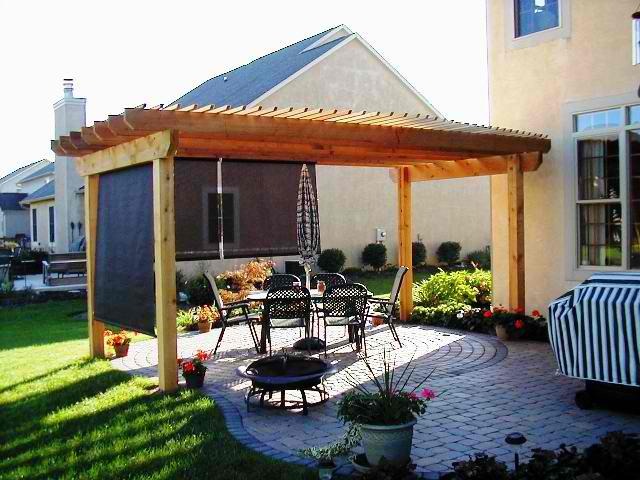 More and more of our customers are looking for not just a deck or porch but also a connected patio to go with it. While building your outdoor area, it’s a great time to build an area that can serve multiple uses such as serve as a seating area as well as an eating area. Often the deck is used as the grilling and eating area and the patio is used for seating and relaxing. 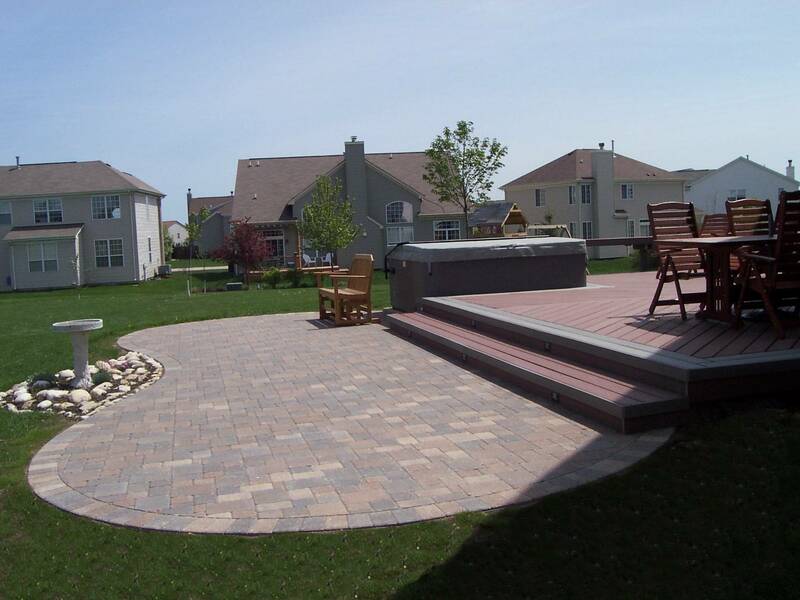 Read this story about the various hardscape and pavers available. The screen porches of the past were fairly basic and were seen mostly as an upgraded deck with a roof. 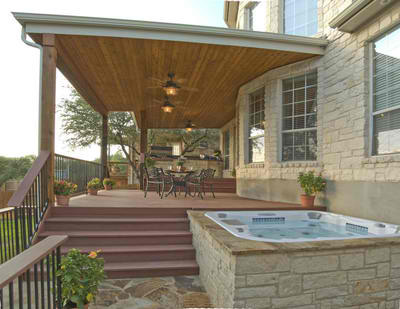 Screen porches these days are an extension of the home both in general design and also in interior design. 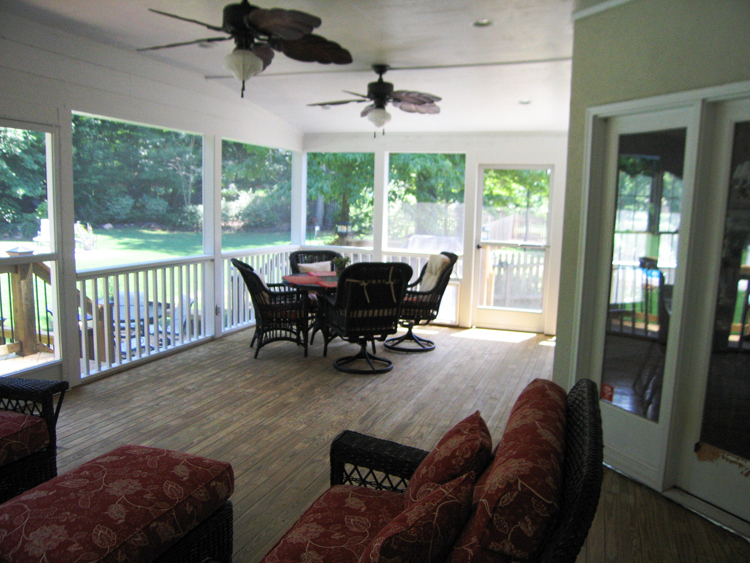 Our customers built their screen porches to match the interior and exterior of their homes. Some build french doors for entry or multiple entrances to open up the screen porch easily to the inside of their house. 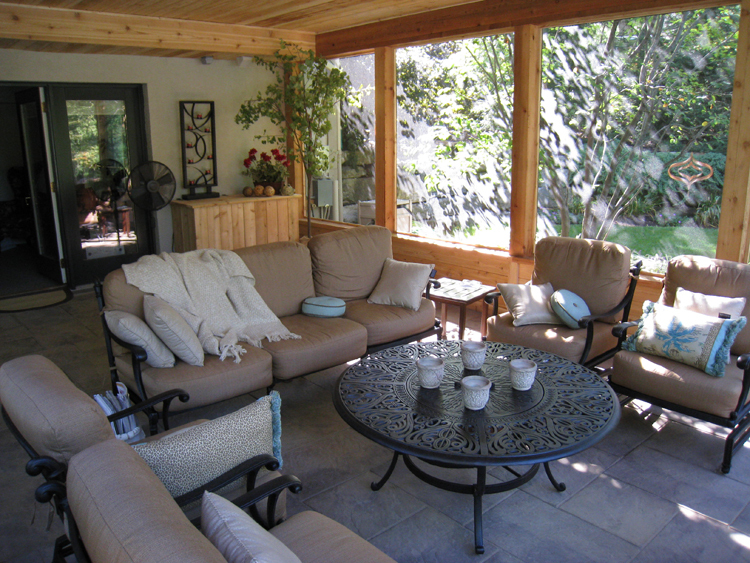 Read about some of the screen porch interior design choices. 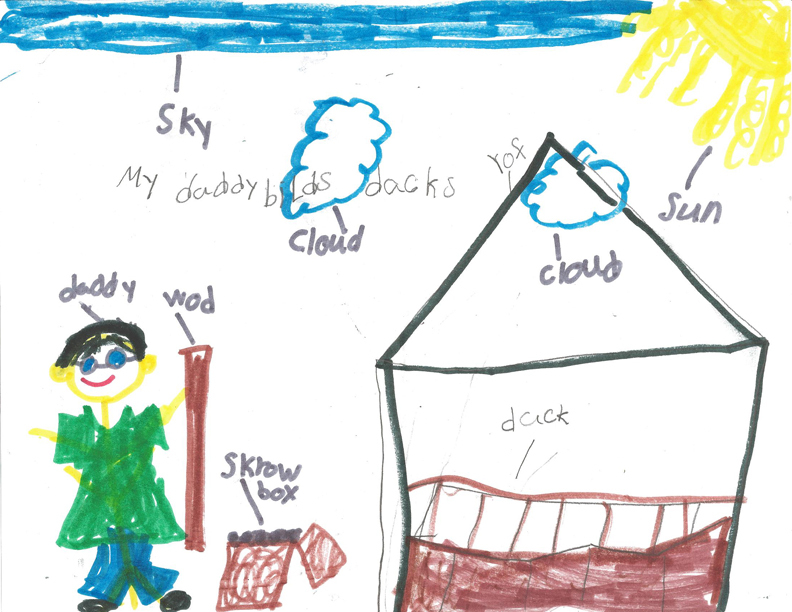 As an owner of an independently owned local franchise, there are lots of great opportunities to utilize the extreme talents of my family as my son Kyle recently illustrated. When you called in to the office, you probably had the pleasure of speaking with my wife and co-owner Carol. 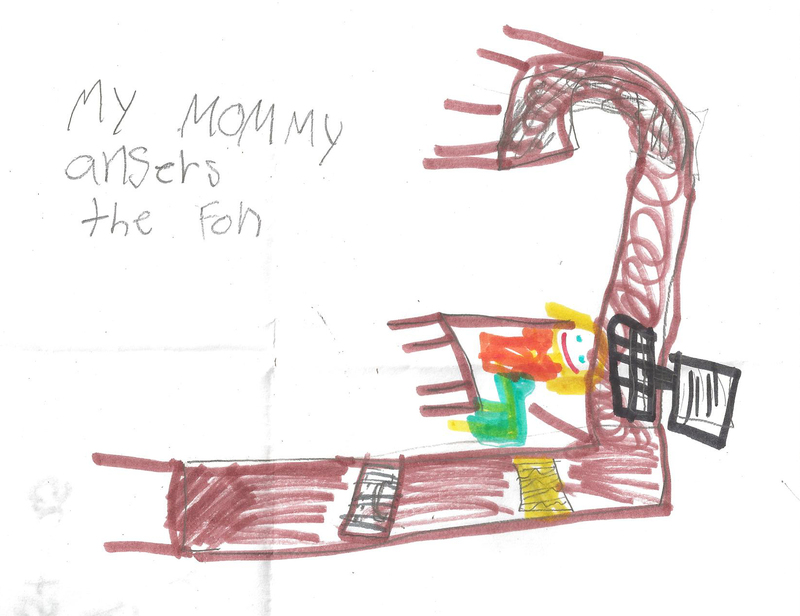 Take a look at Kyle’s illustration of his Mom at work. Before you ask, yes Carol does have a large desk. Kyle also adeptly illustrated me at work. Kyle is 6 and his older brother Jacob is 8. I asked Jacob to also illustrate Mom and Dad at work but he was to cool for that. But, both of my boys did become YouTube stars in their video where they beat up TimberTech wood. I’m proud to say their YouTube video has over 1,000 views! I’m really looking forward to 2012. With projects already on the books, we look forward to jumping in and building even more projects next year.